The expedition season is fast approaching and many people are wondering, do I go to the North of the planet in the Arcticor should I wait to go South to Antarctica? 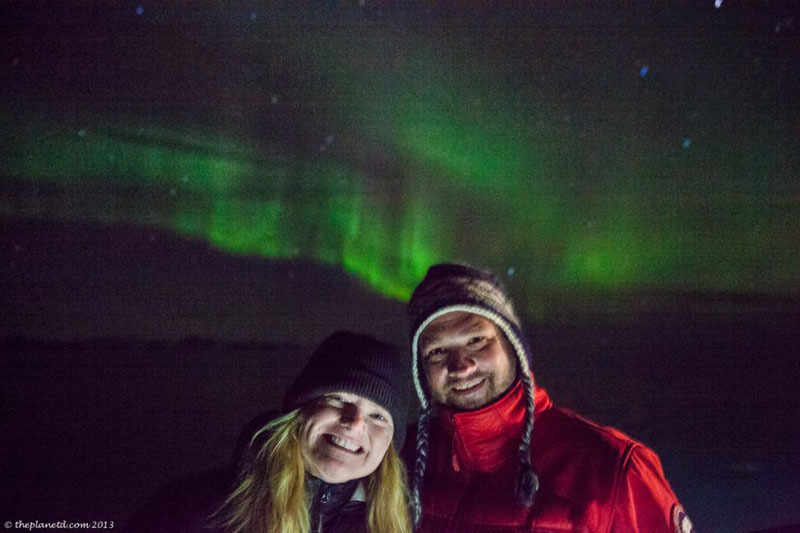 We’ve had the privilege of traveling to both poles and found both to be amazing adventures. We’ve taken away memories to last a lifetime and we must admit, we loved both the Arctic and Antarctica equally. But there are a lot of differences between the two destinations and to help you with your decision, we thought we’d showcase the similarities and differences between the two final frontiers on earth. When visiting both poles, you have the opportunity to see incredible wildlife in both destinations. 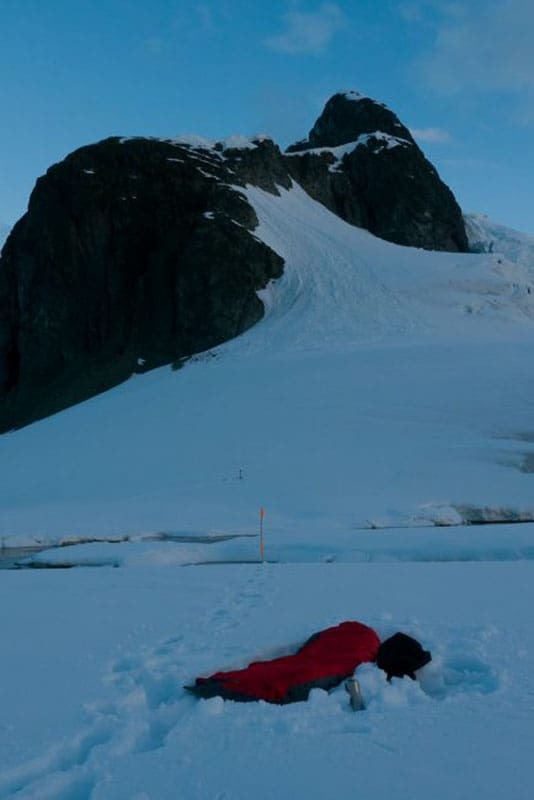 However, in Antarctica, you have a better opportunity to interact with wildlife. 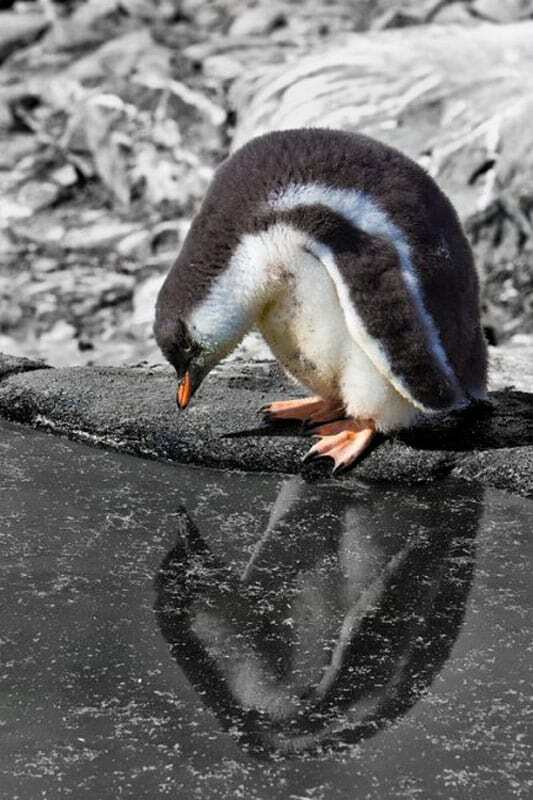 Since man isn’t a natural predator in Antarctica, the animals aren't afraid of seeing humans. When we landed on the continent, penguins walked right up to us to say hello. Whales surfaced right beside our zodiacs and kayaks and seals slept a mere 10 meters in complete contentment as we camped on Antarctica. They didn’t mind that we were there at all and were actually curious to see what we were doing in their little corner of the world. Antarctica had the most amazing wildlife encounters we’ve ever had in our lives. We had never come so close to so many wild animals. The arctic however, has some amazing wildlife too! We have always wanted to see polar bears in the wild, and it is here that you can do that. In Churchill, you can get right up close and personal to these majestic creatures. We haven’t made it there yet, but will be going to see polar bears this summer and we are so excited. While in Greenland, we found that wildlife encounters were much more rare than in Antarctica. Whales and seals are still hunted for their meat and they avoid ships and humans at all costs. When the expedition leaders did spot a whale in the Arctic waters, they often dove long before we reached them. That’s not to say we didn’t see wildlife, it was just different. If you want to see icebergs and glaciers, both destinations are extraordinary. We actually couldn’t make up our mind which destination had the better ice! Antarctica has huge glaciers calving directly into the Antarctic Peninsula and we took one day to sail through an iceberg graveyard where we witnessed massive chunks of ice sitting on the bottom of the bay as the waves create the most unique sculptures. 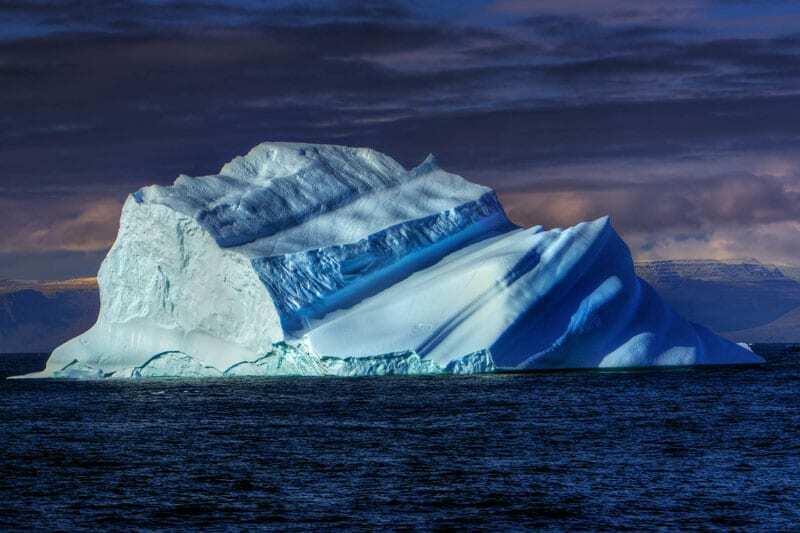 Giant icebergs are in Antarctica. The glaciers of Antarctica are enormous and difficult to describe. You have to see them with your own two eyes to truly appreciate their size. We visited Alaska before going to Antarctica and while we thought Alaska was impressive, Antarctica glaciers towered over the North. Everywhere we went, sheer high walls jutted out of the sea. Chunks of ice fell into the waters creating huge tidal waves and every iceberg was more impressive than the next. 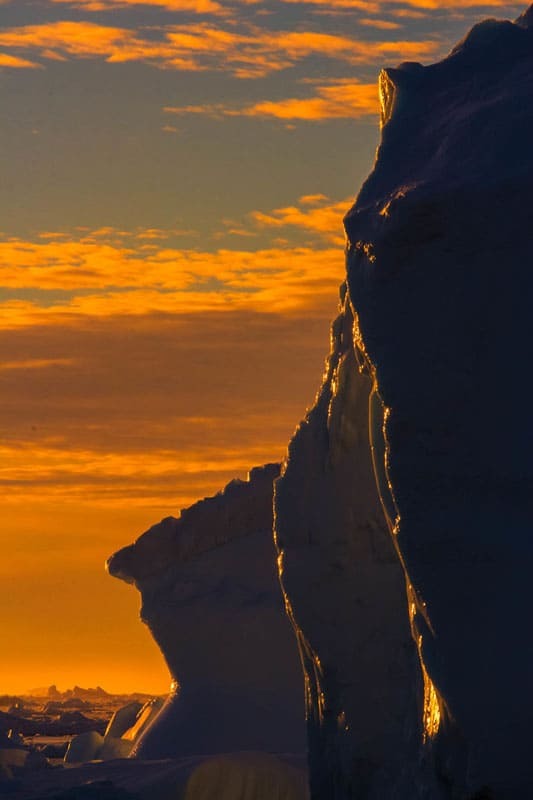 The sun sets over icebergs. Alaska may not have compared to Antarctica when it came to glaciers, but Greenland certainly did. Greenland has the largest polar ice cap next to Antarctica and the glaciers here are very active. Jakobshavn Isbræ glacier is actually the largest glacier in the Northern Hemisphere and it is here where icebergs are born. The icebergs are so large that they drift all the way to the USA. The iceberg that sunk the Titanic is believed to have come from here! When it comes to ice, it’s a pure tie. 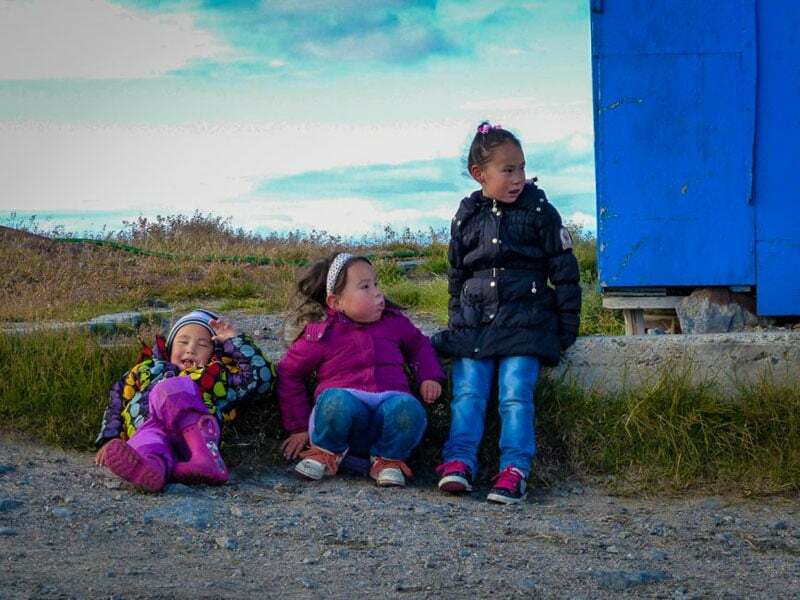 If you are interested in a cultural experience, the Arctic is the place for you. Nobody lives on Antarctica save for research stations and scientists. It is an uninhabited continent. So the only culture you will explore is how explorers and researchers settled the land of ice and snow and how people live there today. You can see handmade dog sleds. But the Arctic has a rich and interesting culture of Inuit people that have lived in harsh conditions for centuries. Many still live as they always have hunting whale in dugout kayaks, dog sledding across glaciers in search of Caribou and burying shark and puffin meat in the earth for fermentation to get them through the long winters when hunting isn’t possible. 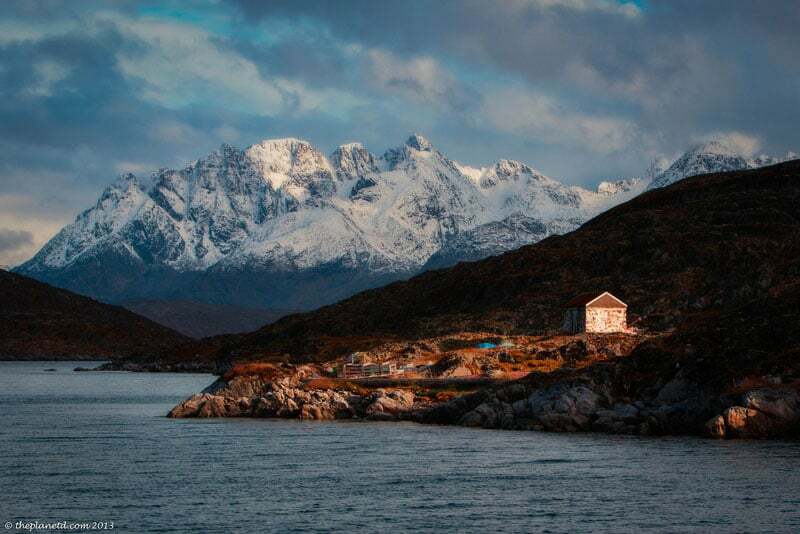 You can visit small remote villages, Viking ruins and Inuit settlements. It is one of the last true cultural experiences on earth. While many people of the world have given up their traditions and culture, the Northern people are still living as they always have. I give the Antarctic a point because visiting the research stations is fascinating. Even though nobody lives full time in Antarctica, the culture has evolved into a way of life unlike any other on earth. So it's still cool to visit. Both places are full of adventure! 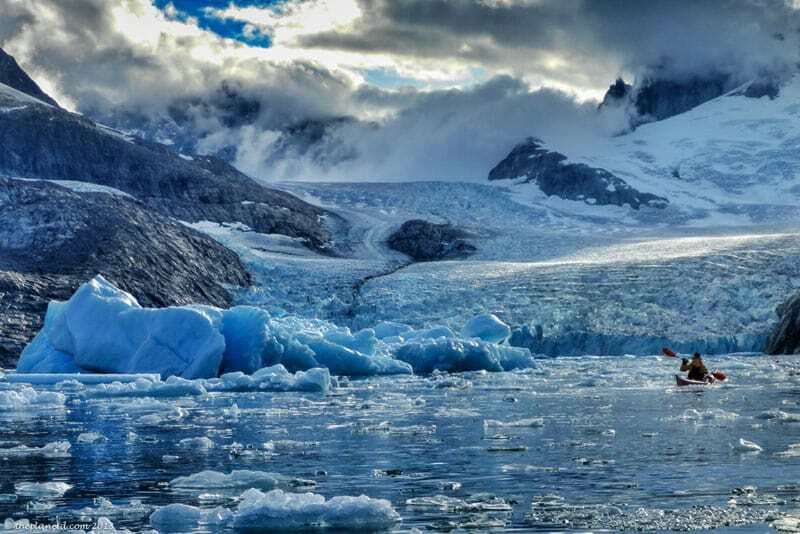 Both Antarctica and the Arctic are filled with adventure. We went sea kayaking on both bodies of water and both were spectacular. While we saw more wildlife in Antarctica like leopard seals sleeping on ice flows, whales breaching nearby and penguins leaping through the water, the real thrill of kayaking each of them was paddling through brash ice, watching massive calving glaciers calf circling icebergs. Antarctica has wildlife spotting and more of a wow factor. When you talk about the adventures in Antarctica, people can't help but be impressed when you say, “I've camped on the Antarctic” but Greenland has a choice of a lot of adventures and there are tour operators and guides outside your expedition that can take you on guided trips of your own. Both Greenland and Antarctica had plenty of hiking, although Greenland is more inhabited so you can go off on your own a bit. The hike out to Jakobshavn Isbræ glacier was spectacular and you can spend the day following marked paths to explore more. 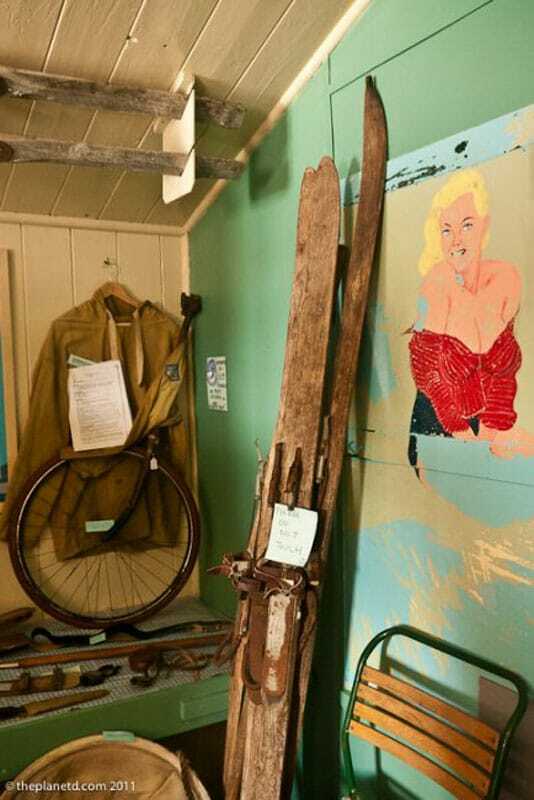 On Antarctica, you are stuck to a more regimented guided tour. 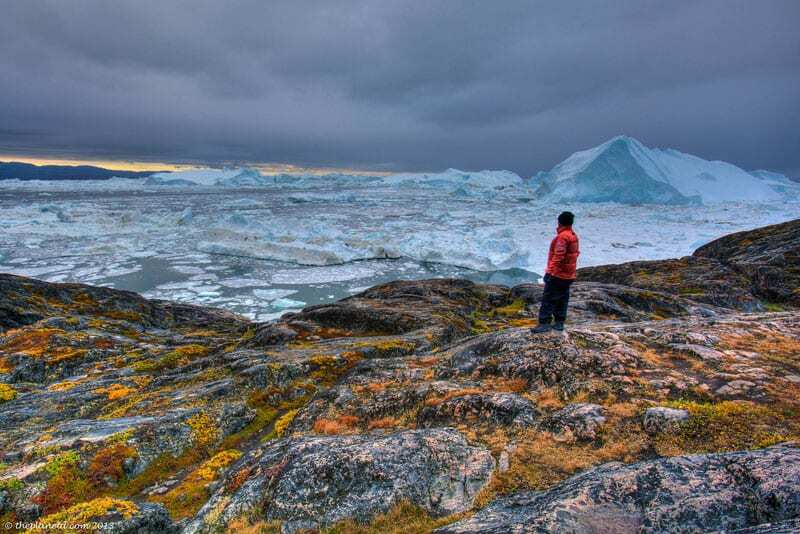 Because Greenland is inhabited, you can book more independent tour such as dogsledding, hiking, and kayaking. Whereas there isn't an infrastructure in Antarctica for tourism and you must be on an organized expedition. When it comes to travel, For us the ultimate test is was it fun? We love adventure, we love culture and we love wildlife, but in the end, we want to say “Did we have fun?” Both destinations are a lot of fun. They type of people that travel to the polar regions is a rare breed of humble adventurers. Most people on both our expeditions were well-travelled successful professionals, but you didn't hear any bravado. Nobody sat bragging about where they had been or what they had done. Most people simply were in awe that they were in the Arctic or Antarctica. Everyone loved having a good time together. When we look back at our travels through the two destinations, we have a big smile on our face as we remember the fun we had. The adrenaline rush of hitting the icy cold waters in nothing but your bathing suits, the fun of sitting in hot springs, or hot tubs, the amazing hikes and paddles. Yes indeed, polar travel is fun! It's a tie! Honestly, we cannot tell you which polar destination is the better choice. You need to think about what you really want to see. Are you into polar bears or penguins? Do you want to check off your 7th continent or go to the North Pole? Do you like culture or do you want to escape civilization? No matter which you choose, you won't be disappointed, Both the Arctic and Antarctica are incredible journeys. For more information, check out Quark Expeditions to learn about their polar adventures. 10 Responses to "Arctic or Antarctica? 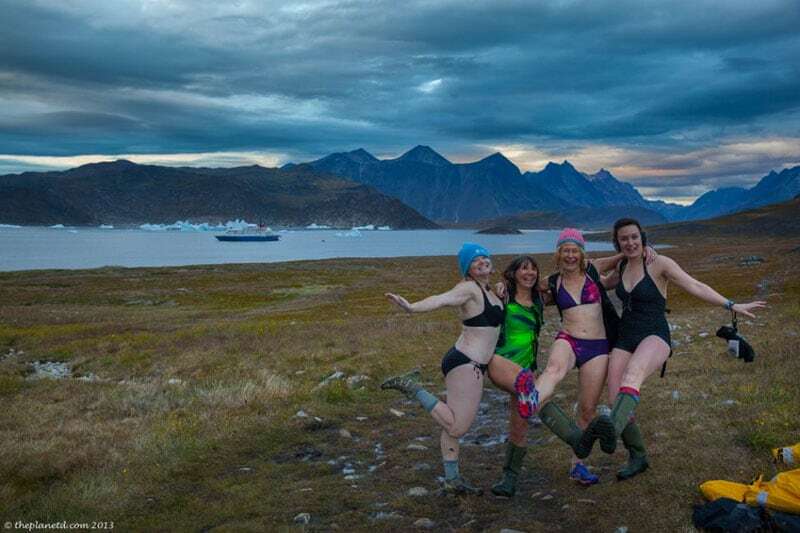 How to Choose your Polar Expedition"
This is an amazing introduction of those remote places to all people comfortable sitting in places with Internet connection 🙂 I’m going to the very north of Greenland this summer and your pictures make me look forward to it even more! Amazing Patricia! Have a great time in Greenland. You are going to love it. Do come back and let us know how it goes. I’ve always wanted to go to Antartica… but it must be great to see Polar Bears, hope you see them this summer! I think the Arctic slightly comes ahead because polar bears, but it’s too close to call. The 7th continent, uninhabited and soooo far away from everywhere .I think i’ll go with Antarctica, There is something more “mysterious” about it that I really love… ! Enjoyed reading this one. As I’m polar caps newbie, don’t know which one would be the better. Tie is really the best answer. And this post really gets you started, at least adding one of those to bucket list, and visiting when you have the chance. The whole way through this I found myself going, “Right, they’ve definitely sold me on Antarctica…oh, but now they’ve sold me on the Arctic”. It’s like a mental tennis match, and I still don’t have a winner. I think the Arctic slightly comes ahead because polar bears, but it’s too close to call! The photos are absolutely stunning, I don’t know how places can look so peaceful and so stark and challenging at the same time! It’s a tough decision but I think i’ll go with Antarctica. There is something more “mysterious” about it that I really love… ! I do think Antarctic definitely has the wow factor of being the 7th continent, uninhabited and soooo far away from everywhere .